‘Learning by example’ is at the heart of ‘Higher Engineering Mathematics 5th Edition’. In Higher Engineering Mathematics 5th Edition, theory is introduced in each chapter by a full outline of essential definitions, formulae, laws, procedures etc. The theory is kept to a minimum, for problem solving is extensively used to establish and exemplify the theory. It is intended that readers will gain real understanding through seeing problems solved and then through solving similar problems themselves. 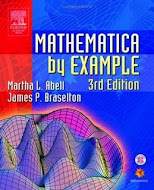 Access to software packages such as Maple, Mathematica and Derive, or a graphics calculator, will enhance understanding of some of the topics in this text. This textbook contains some 1000 worked problems, followed by over 1750 further problems (with answers), arranged within 250 Exercises. Some 460 line diagrams further enhance understanding. 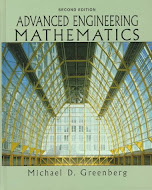 e-book Higher Engineering Mathematics; John Bird; 5th Edition. Mathematics is always logical. If we understand the logical concept, we can solve any problem.